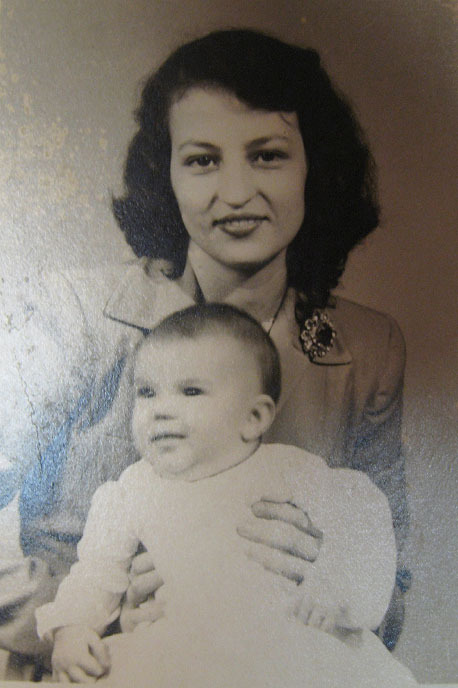 Howell Collier Osborne Jr was born on the 20th August 1922. 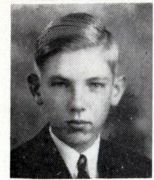 He grew up in Fort Smith, Sebastian County, Arkansas along with his brothers William and Thomas and sister Martha. He was married to Francis W Osborne (Nee Stewart of Van Buren, Arkansas) and had a daugther named Ann. 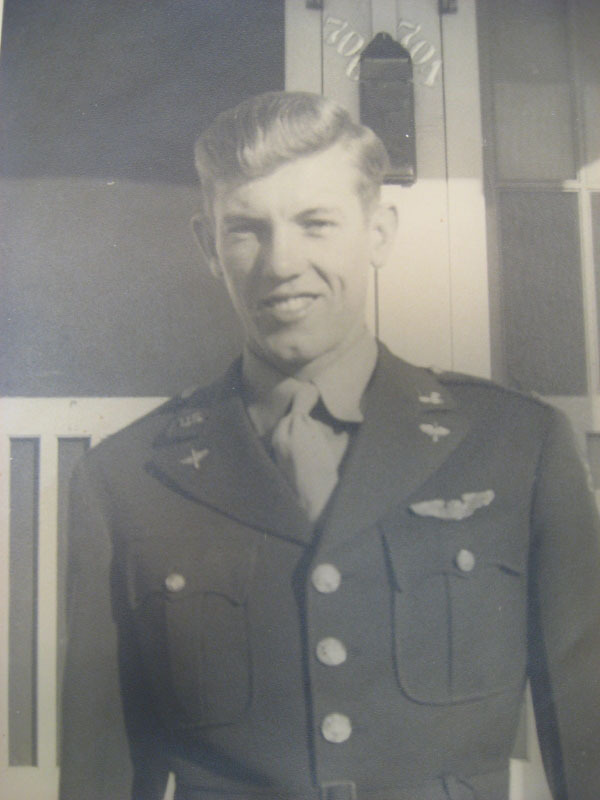 Howell learned to fly Vultee BT13 Valiant's as an Aviation Cadet at Coffeyville Army Airfield, Kansas. He completed his basic flying course as a member of Class 43-F, achieved his rating as a pilot on the 26th June 1943 and his instrumment rating on the 19th October 1943. 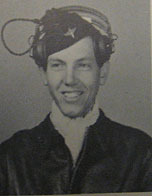 After initial training he was transferred to the 335th Bombardment Group, Barksdale, Louisiana where he was selected to train on the B26 Marauder, Medium Bomber. 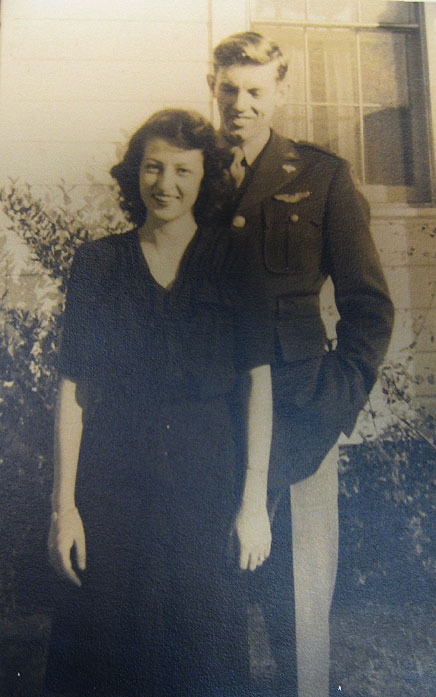 While training at Barksdale he was joined by his wife Francis. They rented accommodation close to Barksdale, staying at 701 MacArthur Street, Bossier City, Louisiana. In the photograph below Howell can be seen standing outside this house. At the time of the accident he had completed 230 hours, 40 minutes flying time on the B26. Howell Osborne was originally buried on the 20th April 1944 in Lisnabreeny American Military Cemetery, Rocky Road, Belfast, Plot B, Row 2 Grave No4. In 1947 the cemetery was decommissioned and his remains were exhumed and upon the request of his family repatriated to the United States. 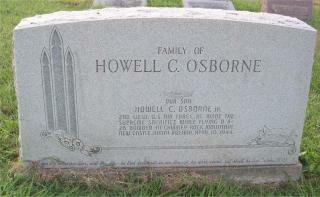 He is now buried with his parents Howell Osborne Sr and Nell Osborne in Forest Park Cemetery, County Sebastian, 5001 Mid Land Boulevard, Ford Smith, Arkansas. 2nd Lt Howell C Osborne Jr 701 MacAuthur St, Bossier City, Louisiana. 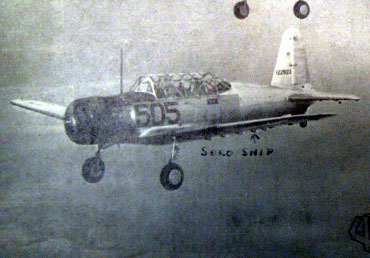 This picture came from the year book of the Aviation Cadets of Class 43-F.
Vultee BT13 Valiant in which Howell completed his first solo flight.